We offer several marina amenities such as unimpeded access to the Atlantic Ocean and fisherman friendly hours. With over 1,000 feet of courtesy docks, early departures and late returns are never a problem at Bluepoints Marina. You will also enjoy the Port’s Largest Fish Cleaning Station with 24-hour access, trophy board and ample boat wash stations each equipped with dual wash down hoses and dual 110v electrical outlets. The marina pavilion is equipped with gas grills allowing you to cook today’s catch. Our Ships Store is fully stocked with the fisherman in mind featuring, apparel, beverages, snacks, bait, tackle, sundry items and ice. Full line marine repairs are also available onsite through our preferred service provider. Ready to get out on the water? Don’t want to wait around for your boat? With two lift trucks on duty at all times and four launch wells, you’ll be out enjoying the water in no time. Call us when you’re on the way and we’ll have your boat ready to go. With marina amenities like our Full Concierge Service, you’ll never have to stop at the store to fill your coolers with ice and snacks again. Need some bait? We’ve got you covered. Give us a call and let us know when you’ll be at Bluepoints Marina in Port Canaveral and we’ll have your boat ready to go stocked with ice, drinks, snacks and bait. With Wide Open Fairways, you will enjoy easy access to Bluepoints Marina’s fully padded Fuel and Pump-out Dock amenities which features Port Canaveral’s best prices on ValvTect brand Ethanol Free Gas and Diesel. Both of our 30 foot by 30 foot dockside covered picnic areas are always available to our guests. These picnic areas come complete with overhead lighting and complimentary gas grills for your convenience. There’s no need to reserve our picnic areas, they are always open and always available to our guests. The Bluepoints Marina Ships Store has bait, tackle, ice, convenience store items, boating accessories, coolers, snacks, apparel, ice cold beverages and more. 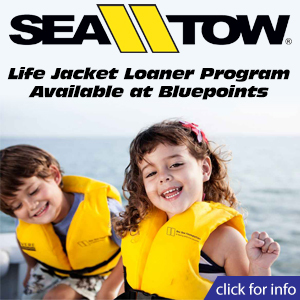 all of which are available through the Bluepoints Marina Concierge Services. NO WAITING! 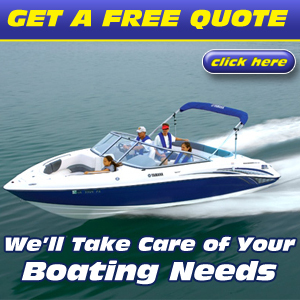 Call us when you’re on the way and we’ll have your boat out of our Dry Storage Facility and ready to go. With 1,000 feet of courtesy dockage, there’s no waiting to dock upon your return, regardless of the weather. We have wide open fairways for easy off and back on all dock areas. Over night stays are available.